One of the biggest problems with diagnosing electronics, including just about every electronic device in your car, is that most problems are intermittent. Intermittent problems can be impossible to nail down. 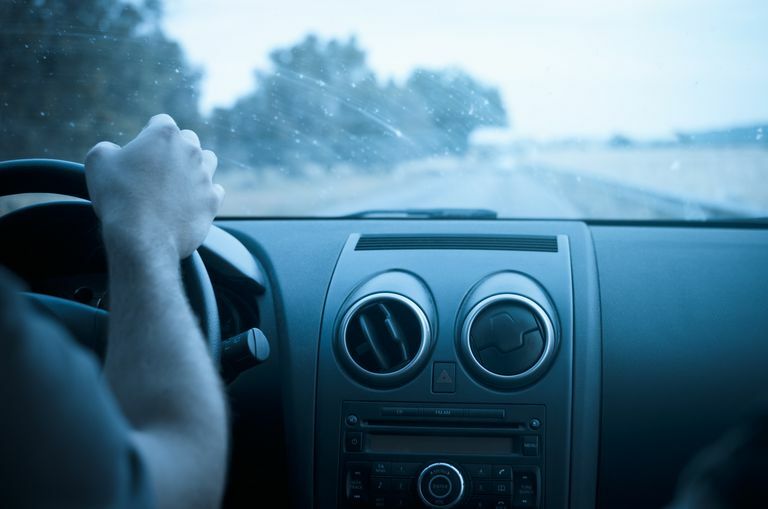 The unfortunate fact is that if your car radio is suddenly doesn't work, you may be in for an expensive repair bill, or even have to replace the unit altogether. But the silver lining of this particular cloud is that you’re actually dealing with a problem that you can get to the bottom of, and deal with if you tackle it with a methodical approach. If you're lucky, you might even be able to fix it yourself. While it is possible for a car radio to fail altogether, there are a lot of internal and external issues that can be fixed well short of total replacement. Some of the most common issues include a blown fuse, bad or damaged wiring, and anti-theft modes that are often triggered when the battery dies. In order to track down the reason that your car radio won't turn on, you'll want to tackle each of these potential issues one at a time. Some head units have a security feature that prevents them from operating after power has been interrupted. The idea is that the head unit will be rendered useless if it is stolen, which is supposed to deter the theft of these units. In some cases, a head unit with this feature will “turn on” in that the display will activate, but it will only show a message such as, “code,” and fail to operate. In other cases, the head unit will appear to be totally dead, and you will have to enter a code or perform another manufacturer-specified procedure to get it working again. Before you get any further into the diagnostic process, you will want to verify that your head unit doesn’t have any sort of anti-theft mode. If the display is totally blank when the unit fails to power up, that is a good indication that you’re actually dealing with another problem. However, you may want to consult the owner’s manual, if you have access to it, or contact the manufacturer if you don’t, in order to verify that there isn’t a specific procedure that you will need to follow. After you have verified that the unit is actually failing to power up and that it hasn’t entered an anti-theft mode, the next step is to check the fuses. At this point, you'll want to break out some basic car diagnostic tools, like a multimeter and a test light. Most car radios have either one or two fuses that you’ll have to check, and you may also have car amp fuses and other related components in the mix. One will be located in your vehicle’s main or accessory fuse block, and it will often be labeled in an obvious manner. You can test an automotive fuse by visually inspecting it, or you can use a multimeter or test light to check for power on both sides of the fuse. If you have access to a multimeter or test like, that's the better way to go since it is possible for a fuse to fail in such a way that it is difficult to tell one way or the other simply by looking at it. Some head units have built-in fuses, typically located on the back side, and some installations have additional in-line fuses located somewhere on the power wire or wires. If any of these fuses are blown, that may be the reason that your car radio won’t turn on, so you will want to replace them to see if that fixes the problem. Of course, a blown fuse is often indicative of another issue, so you should never replace a blown fuse with one of a larger amperage. Before you progress any further into the diagnostic procedure, you will have to remove the head unit to gain access to the wiring. With that in mind, you may want to check to see if the pigtail connector is seated properly in the head unit. If there are any doubts about the pigtail, you can remove it and replace it, ensuring that it seats properly. If your particular installation has an adapter that connects between the head unit and the factory wiring, then you can also unplug the entire thing and reconnect it to ensure that everything is making good electrical contact, and then attempt to power up the radio again. In some cases, with certain aftermarket head units and adapters, you may also find that unplugging the head unit and adapter for a time will fix the issue. In these cases, you may benefit from leaving everything unplugged for fifteen to twenty minutes, reconnecting, and then checking the operation of the unit again. If the fuses are good, and the connections are good, then the next step is to check for power at the radio itself. Most car radios have two power wires—one that is always hot, which provides power to the memory, and one that is only hot when you turn on the ignition key. If these power wires are reversed, the radio will fail to work properly or at all. Although you can check for power at the back of the radio with a test light, you’ll get a more complete picture if you use a multimeter. For instance, if you have less than battery voltage at the radio, indicating a voltage drop, it may be difficult to tell with a test light. In the event that you find no power at the head unit, but there is power at the fuse block, you are probably dealing with a broken wire, so you will have to trace the power wire back to the source. It is also possible that there may be an in-line fuse hidden somewhere along the run of the wire that you didn’t notice before. Poor head unit grounds are more likely to cause issues like ground loops than total failures, but if everything else checks out, you will want to verify that your head unit has a good ground before you condemn the unit. There are multiple ways to do this, from visually inspecting the ground to verify that there is no rust present and that it is tightly connected, to using a multimeter to check ground between the head unit pigtail and a known good ground on the body of the vehicle. In most cases, a poor ground won’t cause the head unit to fail to turn altogether, while a ground that has become disconnected altogether will. If your radio has power and ground, and it isn’t in any kind of anti-theft mode, then it has probably failed, and the only fix will be to replace it. You can bench test the unit by connecting the power and ground leads directly to 12V positive and negative, if you like, but if the power and ground both showed good in the vehicle, you are unlikely to find a different result with the unit removed.